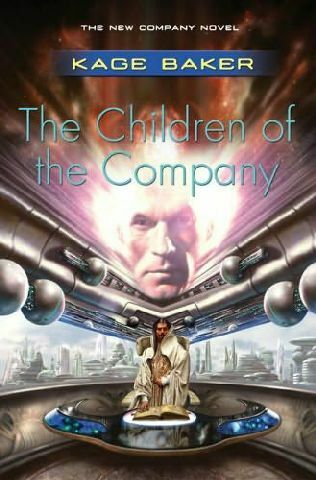 The final book in the Company science fiction series. This is the book where the series has been leading. I would recommend starting with the first book “In the Garden of Iden” rather than this one, if you haven’t read Baker before. 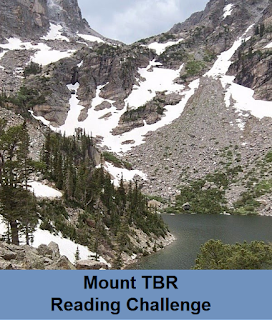 The book has multiple points-of-view. The main part is devoted to the Botanist Mendoza and her companions. These passages have a lot of wry humor and observations of domestic life. Unfortunately, I still find their situation more than a little creepy. During the first half of the book we also follow a small girl who lives under a hill with Quean Barbie and her Uncles, and the stupids who live just to serve the others. The girl, who is initially called just Baby, finds a man who used to be a slave to the big people. But the man turns out to be alive, just hurt very badly. He’s Literature specialist Lewis who disappeared a long time ago. We also follow Joseph who is busy freeing the old Enforcers and a couple of powerful Section heads, immortals who are poised to take over when the Silence starts. A couple of them want to destroy humans and one wants to protect humans. All of these powers have been building their powerbases and now, we finally see what will happen in 2355. I felt the ending was somewhat too easy. Then again, we’ve been given so many hints and speculation about the Silence that I don’t know if anything would have been fully satisfying. It was certainly different from most SF (and fantasy) endings and Baker does weave all of the various plot threads together. Perhaps I was somewhat disappointed with just how cowering and ineffectual the human “master minds” are compared to the cyborgs they created. Of course, it was no surprise, because Baker has shown it plenty of times. Also, the more I see Alec, the less I like him and he has really taken over the series by now. But I thoroughly enjoyed the familiar immortals and their melodramatic ways, as usual. Robert Kerans is a biologist in a science station in the remains of a city which has been almost submerged because the world’s temperature has risen catastrophically and in consequence, the water level has risen. The whole world is a similar state: only very few areas are still habitable around the North and South Poles. Kerans is part of a team whose mission is to the map the city, which we learn later is London. The other team members are a group of soldiers, lead by Colonel Riggs, and Doctor Bodkin. London also has one other inhabitant: Beatrice Dahl who has refused to leave her (father’s) apartment and spends her days reading old magazines and sunning herself. Kerans’ work means that he has to spend a lot of time alone, but he has come to realize that he doesn’t mind it. In fact, he now prefers solitude and has trouble getting along with anyone else. He also spends a lot of time sleeping and not doing much of anything. He and Bodkins theorize that the changing environment is awakening long dormant instincts and memories from the human unconsciousness or racial memory, or perhaps from the womb. Unfortunately, this makes Kerans a pretty passive character. When Riggs gets orders that the team has to get back to the Arctic Circle, Beatrice refuses to leave and Kerans starts to wonder, if he should stay, too. However, in order to live in the city where the temperature is only going to rise still, they would need petroleum and food. The first half of the story is almost dreamlike. Ballard describes the sunken city and its inhabitants who are starting to see strange dream and become quite lethargic. There isn’t real conflict until the half-way point of the book and to me, it felt forced. I would have liked to see how the larger society has changed. Ballard tells us this but doesn’t really show and it doesn’t affect the interactions of the characters. He tells us that, for example, most of humanity has died and the survivors have moved to the Arctic Circle. Clearly, there are still countries with their own military services because they are mentioned at the start of the story but we also told that otherwise, the people live clearly different societies. Unfortunately, I was underwhelmed by this book but maybe I had different expectations. The seventh book in the series. 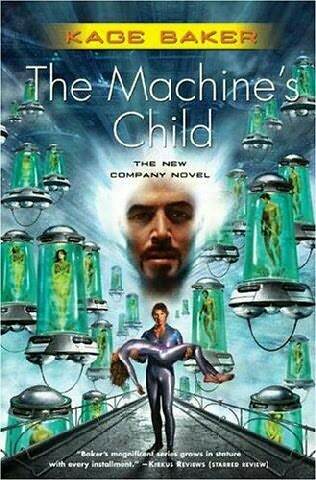 “The Machine’s Child” continues from the cliffhanger at the end of the fifth book, “The Life of the World To Come”. At the end of that book something happened, which I didn’t know about and which I don’t want to spoil for any potential reader. At the end of “The Life of the World To Come” Mendoza, the immortal cyborg botanist who was the main character in the first and the third book, was sent into a hellish place for rogue cyborgs where they are tortured forever. That place is situated in 300 000 BC. But Mendoza’s lover Alec and his companions have a time machine and they are tracking Mendoza to her jail. They manage to save her and the majority of the book is dedicated to Alec and Mendoza trying to heal each other and jaunting through time and Alec arguing with his companions. I really (mostly) liked the dynamic between Alec and his companions and the short vignettes of Alec and Mendoza in different times. Unfortunately, the book also has a lot of things which I didn’t care for. Mendoza was hurt badly. In fact, so badly that Alec’s Artificial Intelligence (named Captain Morgan) has to rebuild her body. And he rebuild it as a fourteen year old girl. Mendoza has also lost her memory. Alec convinces himself (and his companions) that it’s best that Mendoza doesn’t remember her past. So he lies to her about her near past. But then he starts to lie more and more, about himself and about their shared past. I found this to be pretty icky. I started to hope that Mendoza would get her memory back and Alec would be held accountable for his lies. The longer this situation continued, the more uncomfortable I felt with it. Also, I started the book liking Alec’s companions quite a lot (more than Alec) but then one of them makes a suggestion which was, well, beyond icky. And also I’m a bit puzzled as to why Alec is so enamored with Mendoza. One of his companions spent quite a lot of time with Mendoza so he could have fallen in love with her, but the other two have spent only a little time with her, so their almost instant adoration is a bit strange. Also, it was established in the fifth book that Alec (and his companions) have an almost magical ability to persuade others to do what he wants. So… is Mendoza’s love nothing more than reaction to that ability? Ick! We also get to see some other immortals preparing for the year 2355 when the ominous Silence falls. Joseph is repairing his “father” and since he was the one who recruited Mendoza from the clutches of the Spanish inquisition, he thinks of himself as her father. So, Joseph is also trying to find Mendoza. Unfortunately, he blames Alec for ruining Mendoza’s life so he’s also trying to pay back to Alec. Both are trying to bring down the big bad, Dr. Zeus Incorporated. Overall this felt like a yet another book whose main reason for existing is to prepare for the final conflict which should happen in the next book. And it ends with a cliffhanger! This book combines science fantasy (or planetary romance) with modern science fiction. I was a bit nervous when I started to listen this book because I liked the premise a lot but didn’t yet know if it would be great or something I wouldn’t like. Happily, I liked it a lot and I’m looking forward to the next book. Lt. Shaila Jain is the effective Executive officer on a base in Mars in 2132. She’s in JSC, the EU-USA Joint Space Command. Even though she and the mining base’s commander Diaz are military, most of the bases inhabitants are miners with some scientists. She and a French geologist Stefan Duant are exploring a cave when they experience a ground quake which should not be possible because Mars doesn’t have active tectonic plates. Tom Weatherby is the second lieutenant aboard the HMS Daedalus in 1779. It’s a frigate but instead of sailing on water it sails in space using alchemy. Weatherby is in the Royal Navy and Britain is in war with France and also fighting against space pirates and rebels. Daedalus fights a rebel ship from Ganymede but they loose their alchemist. In order to keep sailing, they need a new one and they go to a British port near Mercury to find one. They commandeer Mr. Finch who is one of the best alchemists of the time and son of a Lord. They also stumble into a murder mystery. Both story lines were compelling to me. I loved the Burroughs like 1779 world which has not only sailing ships in space but humanoid aliens. Some of them have been conquered and used as slaves while others fight back. To my eyes, Weatherby is a pretty ordinary young officer from a humble family and who wants a long career in the Navy but is somewhat naïve to the way that the world works. Mr Finch is a very much a contrast to him: a drunkard and a cynic. Lt Plum is the first officer and he’s pretty brutal. We also get to see a few historical people. The JCS is very competent and I always appreciate that. In contrast to the all-male crew on the Daedalus, JCS has both male and female officers and scientists. In their way, both casts are mostly professionals dedicated to their work. I really enjoyed this book. I didn’t even mind the fact that both main characters have (understated) romantic sub plots. The audiobook has two readers which helped keep the story lines separate. The sixth book in the series. 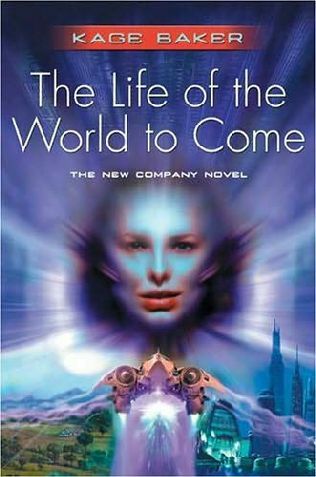 The previous book, The Life of the World to come, furthered the series’s overall plot and the book ended in a cliffhanger. Sadly, this book doesn’t continue the story but instead explores a ruthless cyborg who is trying to build his own power base both in the human world and among his fellow immortal cyborgs. This book is a collection of short stories which have a framing story around them to knit them together. This framing story is about cyborg named Labienus who contemplates his works through the times. When I got over my disappointment that the story didn’t continue, I was able to just sit back and enjoy various cyborgs’ adventures through time. It is, after all, what attracted me to the series in the first place. Executive Facilitator General Labienus is a very old cyborg. Before recorded history began, he set himself up as a god-king of Sumeria. He was called Enna-aru and he treated mortals cruelly. Still, they revered him and allowed him to enjoy a most luxurious life. In fact, Labienus longs to return to such times and resents the fact that after recorded history started, he has had to work from the shadows and among the stinking mortals. He would like nothing more than get back what he thinks is rightfully his. Like all cyborgs, he knows that something monumental will happen in the year 2355, when the Silence begins. The time traveling Dr. Zeus Incorporated doesn’t have any information about anything beyond this date. So, Labienus is planning his own coup to start in 2355 and needs to have everything in place by then. The book is split between four different time periods by the framing story. In the first two parts, the short stories are actually of different time periods than the framing story. I greatly enjoyed most of the short stories but found the framing story to be a bit clumsy. In the short stories we follow the cyborgs Lewis, Latif, Van Drouten, Victor, and Kalugin when they are caught in Labienus’ web of lies. We also get to see a couple of unfortunate mortals struggling to understand the wider world than just their little monastery or garden. The framing story is written in present tense while the short stories are written in the past tense and some of them use third person POV and a couple use the first person POV. 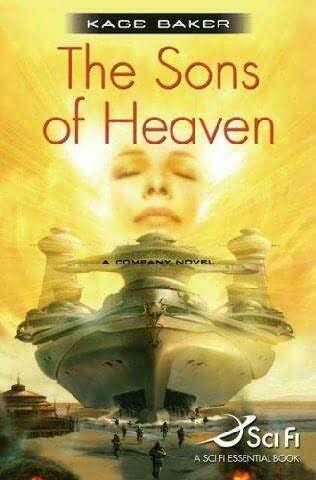 The third book in the Jacob’s Ladder series. The generation ship Jacob’s Ladder is nearing the of its journey; a habitable planet, called Grail, is in sight. The inhabitants have survived warfare and have been in suspended animation for 50 years. Perceval Conn is the new captain, a merging of herself and a previous character. She is now the leader and she must make the difficult decisions. Because the planet is already inhabited. And to make matters more complicated, old enemies return. The humans on the planet call it Fortune and the city Bad Landing. They think of themselves as very civilized. They’ve banned wars and violence, through technology called right-minding which make humans achieve emotional balance and sanity free of such ideologies as fanaticism, no matter what the cause. So, they’re afraid of the approaching ship which could be full of psychopaths, for all they know. But they decide to contact the ship as soon as possible. When they get an answer and the ship’s leader seems to be at least somewhat sane, they Premier Danilaw Bakare as their diplomat and captain Amanada Fryer as Danilaw’s bodyguard. Grail is a story of two cultures clashing and the people in the middle of it all. The ship’s inhabitants see Grail as their promised land where they could finally rest. Some of them resent the people who have inhabited Grail before the ship reached it. The people of Bad Landing see the ship’s inhabitants as savages from the past who will be irrational and violent. But Perceval and Danilaw are trying to find common ground and look for a way to live peacefully together. The people on Jacob’s Ladder live in a society which is a strange amalgam of medieval society and future technology; epic fantasy and science fiction. The people were sharply divided between the exalt, who have been made almost immortal with nanotech, and their ordinary human servants the means. And in the middle of it, is the Conn family, feuding against each other. But now, things are different. This book introduces a cast of new characters. Some reviewers commented that they came in too late and took up “screen time” from familiar characters. However, I was very interested in the conflict they made and I was also fascinated by their culture which we get to know a bit more during the story. However, a lot of the character interaction depends on knowing the previous history of the familiar characters, so I’d recommend reading “Dust” and “Chill” first. “Grail” has the same sense of wonder and great weirdness as them. The fifth book in the series. The book starts with an extract from Mendoza’s journal. She’s an immortal cyborg and the main character of the series. Because of what she did in a previous book, Mendoza in Hollywood, she was sent to Way Back When, also known as 150 000 BC, to grow vegetables to the wealthy tourists from the future. But Dr. Zeus Inc.’s efforts to confine Mendoza doesn’t work. A man in a time shuttle appears. He’s from the future but looks exactly like Mendoza’s lost lover Nicholas, from the year 1555, and like her other lost lover Edward, from the year 1862. Mendoza is now convinced that the three men are actually the same man and that he can’t be human. When the man, Alec Chekersfield , tells her that he’s on a quest to destroy Dr Zeus and he comes from the year 2351, Mendoza realizes that he will succeed. Dr. Zeus Inc is almost omniscient company which owns the secrets of time travel and yet, in 2355 the Company will become silent. Nobody knows what will happen after that year. Mendoza will do everything she can to help Alec. He has stolen the time shuttle and so Mendoza disables the shuttle’s self-destruct device and teaches Alec how to control the shuttle. Alec promises to return and vanishes back into the future. That’s almost the last we’ll see of Mendoza in this book which focuses on the life and times of Alec Chekersfield, and the three men who created him. Three idle rich men call themselves the Inklings Nouveau. They all adore history and re-enact it to the extent that they can, considering that most things are banned in the future (such as coffee, cheese, chocolate, alcohol…). They work for Dr. Zeus designing the cyborgs which the company uses. One of their previous designs have become obsolete and they are asked to design a new breed of Enforces. They start to design a new man which they call Adonai, a template, or an image of, King Arthur. They will try out this new man in various times to see how he will act. At the same time, we see quite a bit of this future. Alec lives with his parents and their servants in a boat and even though his mother is cold towards him and his father is a drunkard, he’s early life is relatively happy. But then he has to move to London and everything changes. His mother gets a divorce and he doesn’t seen again. His father stays for a short while and then leaves. Alec is raised by the servants and his Pembroke Playfriend which is an AI. The AI is supposed to have strong moral rules and teach them to the child, too. However, Alec is able to get into the AI’s systems and turns off the AI’s moral code. Now, the AI’s primary goal is to keep Alec safe and happy. Alec is a genius but the AI, named Captain, advises him to keep that a secret. With the AI’s help, Alec nurtures his instinctive grasp of computers and becomes a smuggler. The future in this series is pretty bland, just like in the previous books. Almost everything is banned from touching children to walking barefoot on grass. Public health monitors are watching all the time and if anyone behaves illegally, he or she is sent to a hospital. Yet, when Alec and Mr. Lewin go to a museum, it has a statue of Nelson because he kept England free from Napoleon who wanted everyone to behave the same. Meanwhile England and US are trying to get all other countries to ban cheese and meat as well. There are two Mars colonies but nothing is said if they’re more free or not. Alec tasted real freedom on the boat where he spend his early years and he has no problem later becoming a rebel and breaking all sorts of laws. By contrast, the Inklings Nouveau are far more timid lot, only hesitantly breaking minor laws, such as set a fire in a fire place or walking barefoot in grass. I really enjoyed this one. It revealed the secrets around Mendoza’s lovers and continued the major plot.